Natural Gas: A "Critical Bridge Fuel for the Global Transition to a Low Carbon Future"
On November 29, the Energy Futures Initiative and the Africa50 Investment Fund announced the launch of a new EFI report: Investing in Natural Gas for Africans: Doing Good and Doing Well. 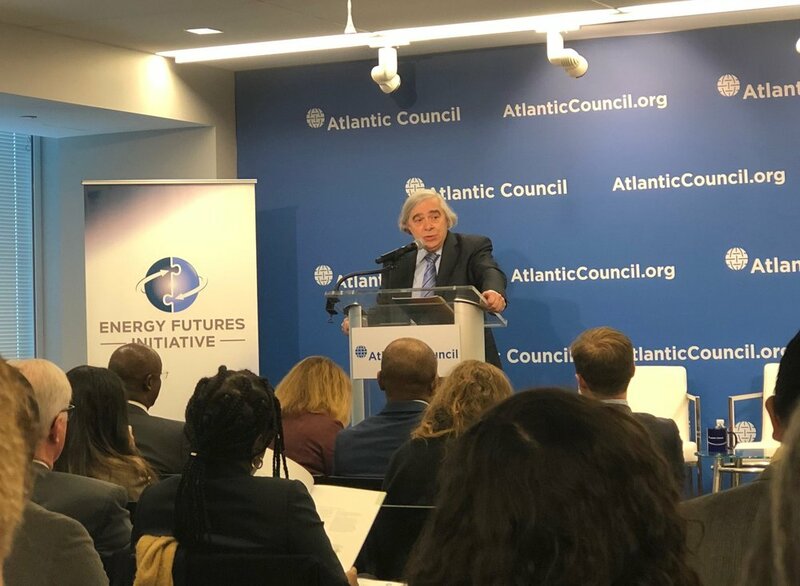 At the launch event, hosted by the Atlantic Council’s Global Energy Center in Washington, EFI founder and CEO Ernest Moniz gave opening remarks alongside Alain Ebobissé, the CEO of Africa50. Populations in Africa are “growing rapidly, alongside increasing urbanization, expanding economies, and rising living standards—which are all driving overall energy demand.” Taking these factors into consideration, the report assesses the role of natural gas in meeting key electrification, health, and environmental goals on the African continent. To watch a video of the event, click here.